The application also allows users to register themselves and their families so they can be alerted about each other’s safety during an emergency. The application also allows users to input their needs and the supplies they are willing to share within their community. We built our solution bearing in mind Sally as a user. Sally is a single mum with a 10 year old kid, Dan. Sally is at home and has just experienced an earthquake and Dan is at school. What does Sally do??? Sally has this new app called iHelp and she had previously registered herself and Dan on this app. So now, Sally can track Dan and his location using the app. Dan can also mark himself as ‘safe’ so Sally knows that he is okay. Sally can also use the traffic and the weather feed to find the quickest and safest route to get to Dan’s school. Sally picks Dan up from school and finds their way home. A few days later, there is still a state of emergency and Sally is running low on resources like running water. Sally needs drinking water and also water for washing and cleaning. Sally uses the app to reach out to her community and registers her needs. Sally also wants to help the community so she lists the supplies that she’s willing to share e.g. canned food. Sam, another survivor using this app has an artesian well in his backyard and only a few minutes away from Sally. So he also lists his supplies onto the app. Sally uses the app to search for water and is directed to Sam, so she contacts him using the private messaging in the app. Sam and Sally get together and help each other out. iHelp can be used as a single source by Ministry of Civil Defense and Emergency Management and any such emergency services to broadcast information to the public. The integration plaform and API used between the Database and the app allows the plugging in of other sources of information or alerts. Geo Alerts, CAP messages. 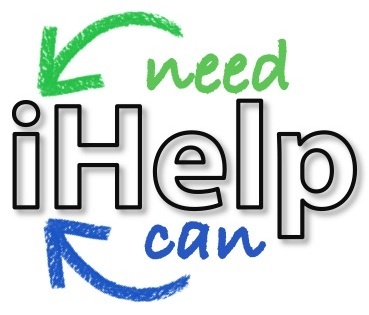 iHelp can also be further developed to foster a community collaboration during any events such as flooding, fire help, landslides and even a zombie apocalypse ;). We talked with people about how offline caching and disconnected mode is essential in emergencies - so the system was designed to allow users to collaborate directly and cache data.